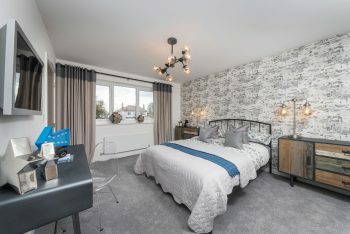 Many family homes are lucky enough to house a spare bedroom, where guests can get comfortable and truly enjoy their stay in your home. Sadly, however, many spare bedrooms fall victim to feeling just that: spare. We tend to put less thought into our décor choices when it comes to the spare room, leaving it to become a confusing bedroom/storage/study hybrid. But this doesn’t have to be the case. It’s amazing how, with a few simple changes, you can make a spare room feel like a home away from home for guests coming to stay. Let’s take a look at four steps to creating a guest-ready spare bedroom in your home. Transforming your guest bedroom doesn’t have to be a complicated or even time-consuming task. There are several quick and easy ways to give your spare room a more established identity. Your first step is de-cluttering. If you are only going to improve your spare room in one small way, clear out anything that isn’t adding something positive to the space. Make sure you invest in attractive storage solutions for guests to use so they don’t live out of a suitcase, and add a couple of homey touches such as fresh flowers in spring or a warm spiced candle in winter. These additions and changes take less than a day to implement, and the results are instantaneous. Everybody loves the pampered feeling of staying in a luxury hotel, so why no try to offer your guests the same thing when they stay over at your house? 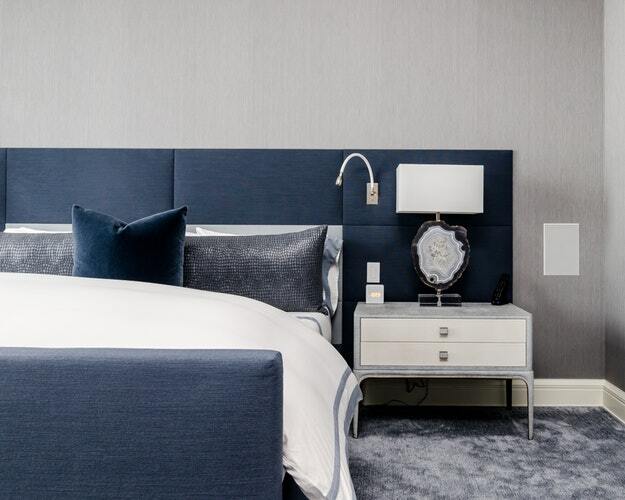 It’s easier than you might think to create truly luxurious surroundings in your spare room. One of the best things about a hotel is that ‘fresh sheets feeling’, so make sure your guest bedding is crisp and simple. You could even include folded guest towels and a few miniature toiletries for an authentic hotel feel. These simple touches will help elevate the space without taking up too much time or cost at your end. One or two dramatic changes can be enough to give your spare bedroom focus and flair. These can take a little longer to plan and put in place, but the end result will be a bold new design which makes your spare room feel like a viable part of your home. Consider a feature wall as a great way to add personality to a space. A fresh coat of paint or statement wallpaper on the wall behind the bed will draw your guests in and give the space more of an impact. Other options include simple features like floating shelves, which bring a very modern elegance to a space. Colour is the cornerstone of great design, so choose wisely. A well-chosen shade can provide the difference between a bland and a bold guest bedroom. Guest bedrooms are often one of the smallest rooms in the home, so it’s usually smartest to stick to a light, neutral colour scheme. This doesn’t have to mean whites and beiges though – duck egg blues, pastel greens and light yellows can all bring a delicate sense of fun to the space. 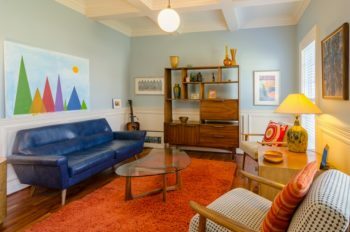 You can also spread pops of colour throughout a neutral room with cushions, rugs, wall art and ornaments that can be swapped out to reflect changing seasons and styles. Whatever your personal style, find your dream home with Homes by Esh. 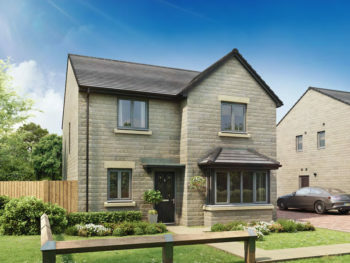 We have stunning property developments across the north of England, including our brand new luxury home collection Heighington Meadows. Get in touch today using our Live Chat service to discover more.